In March, price quotations for pig received some support from a surge in import demand, especially from China. 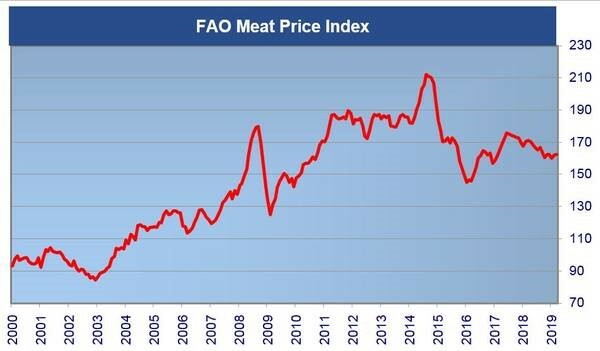 The FAO Meat Price Index averaged 162.5 points in March, up marginally (0.6 points or 0.4 percent) from its revised value for February, continuing a trend of modest price volatility observed for several months. In March, price quotations for pig, bovine and poultry meats received some support from a surge in import demand, especially from China, notwithstanding increased export availabilities from major suppliers. By contrast, price quotations for ovine meat retreated for the third month in a row because of continued large export availabilities from Oceania. 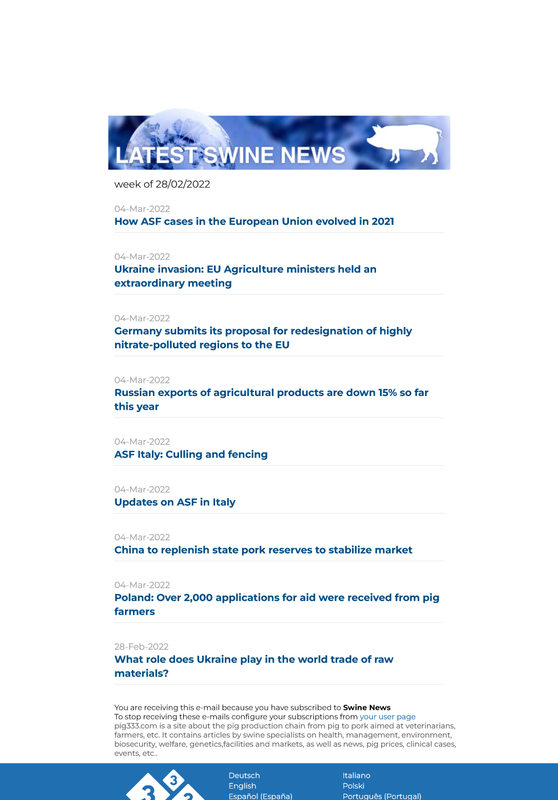 Thursday April 4, 2019/ FAO.